School Construction Authority (SCA) was established by the New York State Legislature in December 1988 to build new public schools and manage the design, construction and renovation of capital projects in New York City's more than 1,200 public school buildings, half of which were constructed prior to 1949. Division of School Facilities (DSF) is responsible for the maintenance, repair and safe operation of all facilities under the jurisdiction of the City’s school system. The Office of Space Planning is the Chancellor's designee in the allocation of space in all educational and administrative facilities. Designing a school library media center may be a once-in-a-lifetime opportunity, so take advantage! In this hands-on guidebook, school library construction and media specialists Rolf Erikson and Carolyn Markuson share their experiences of working on more than 100 media center building projects around the country, using conceptual plans from actual school libraries. 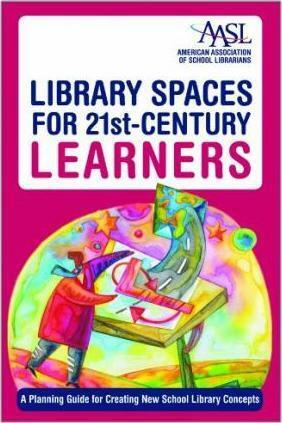 To keep school libraries relevant, their physical spaces need to be reinvented to mirror 21st-century learning models. This book will enable everyone from school librarians and principals to district-level administrators, architects, and interior planners of school library spaces to reconceptualize school libraries. * Describes space concepts to support personalized learning and guided inquiry * Addresses the key subject of how to best adapt the library for technology, virtual learners, and patrons seeking to use smart devices * Spotlights the new concepts and learning applications that are necessary to make school libraries more effective, especially at the middle and high school levels * Examines how to merchandise a new library brand and promote revised roles for school librarians to reverse the trend of marginalization of school libraries. Library Spaces for 21st-Century Learners: A Planning Guide for Creating New School Library Concepts focuses on planning contemporary school library spaces with user-based design strategies. The book walks school librarians and administrators through the process of gathering information from students and other stakeholders involved in planning a resource rich learning space. Information includes how to create needs assessment documents that compliment AASL’s Empowering Learners: Guidelines for School Library Programs. Suggestions for adding meaningful aesthetic components and colorful renderings of sample environments are also provided. This textbook, for school library administration courses, is written by a professor who has taught this course at least once a year for the past twenty years. Technology is interwoven throughout the book and not listed as a separate chapter or book section. This is because the school librarian of today--and certainly the school librarian of tomorrow--is working in an environment of web resources, multimedia, mixed methods, and varying programs and services. Major chapters cover the various roles of the school librarian, curricular standards and guidelines, policies and procedures, budgeting, facilities, personnel, services, programming, ethics, advocacy, and evaluation. Sample policies, procedures, and plans make this book valuable to both new and experienced school librarians.